How are you communicating colours to your customers in ways that appeal? With the seemingly unending array of coloured gemstones rising in popularity, it’s easy to get lost in the technical properties of a gem, when all the customer really wants to know is “what colour is it?” and “is it sparkly?” Price also has a factor, obviously, but that’s not what we’re talking about here. So how do you describe colour to your customer in a way that helps them identify with it and share that description with a supplier to ensure you get what you want? How do you remove the ‘fluff’ and describe the colour in a way that will ensure you get the stone you’re looking for? Selling colour is one of the most challenging, yet rewarding aspects of a jeweller’s job. That is, of course, unless you are just selling white diamond engagement rings. You might try to match jewellery to your customer’s skin tone, in which case you should read this article. However, your customer may already want to match something they already have, or a colour they like and that is where a conversation about colour and your knowledge comes into its own. The first stop in helping your customer understand colour is by you demonstrating your understanding the basics of colour theory. There is a ton of information about colour theory and colour wheels, by people a lot better qualified than me, so I’m leaving that to them. What I’m trying to do here, is relate that colour theory to gemstones. So I’m giving you a really short summary of how the colour theory works and how that relates to gemstones. Whether creating your own jewellery for stock, or working with a client on a bespoke piece, one of the first things you are going to talk about is colour and having some idea this subject is essential. With so many gemstones coming in so many colours, this has to be the starting place. For that reason I have put together a Colour Gem Colour Wheel. It is essentially a colour wheel, which use the principles below, but with an added feature. For years, I have struggled with the way my customers describe and sell colour gems, so the first thing I added to the colour wheel are words you can use to describe colour that resonate with a customers emotions. The second element I have added to is which gems come in which colours. 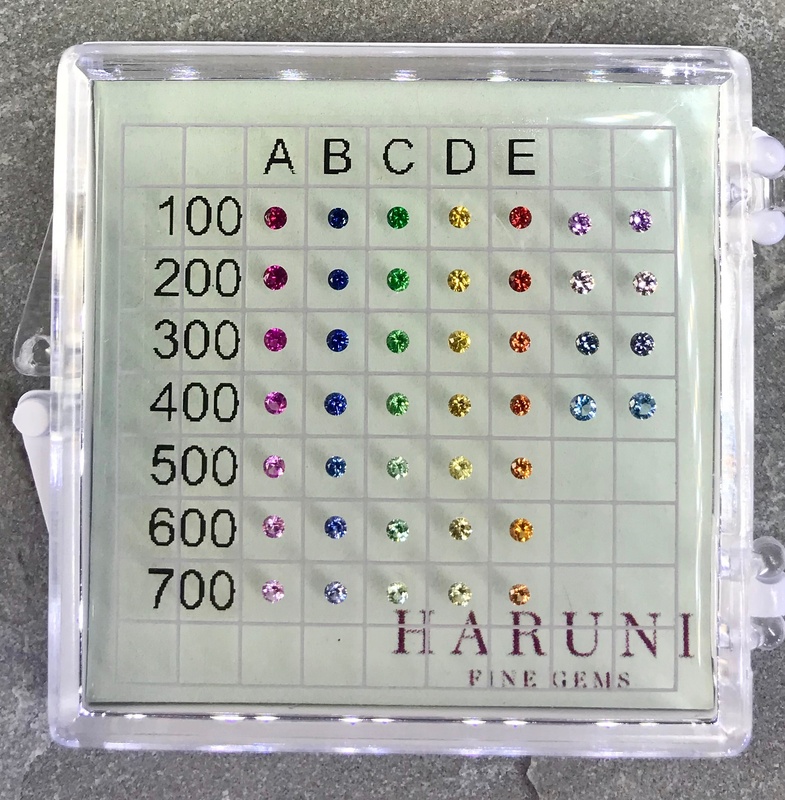 This will help you identify potential gems in specific colours you can offer your customer. What colour gem are you looking for? Once the colour has been given, the next things you need to know about are Hue, Saturation and Tone. Hue, is the primary colour that you see. It’s the colours around the edge of a colour wheel and is the dominant colour you will see in the gem you are looking as. Red for Ruby, Blue for sapphire, Green for emerald etc. However, as you may know about colour gems, they are very rarely a pure colour and often have a secondary colour. Modifying or secondary colours, always given first when describing colour, are the secondary colour that steer the colour away from its purest form and often ends in ‘ish'. An example of this is – bluish, yellowish, or reddish etc. 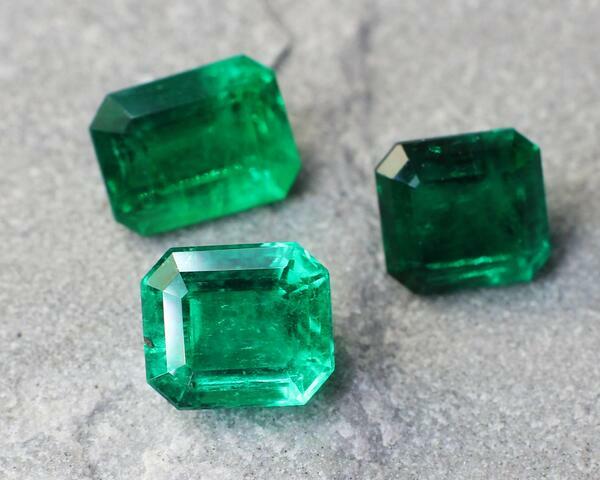 So a yellowish green could be used to describe emeralds from Colombia, bluish green is often used to describe emeralds from Zambia. The purer the colour, the more valuable the gem. So a pink diamond is more valuable than a purplish pink diamond. Or in the gem world, Vividness – colour saturation. In essence, it is the presence, or lack of greyness or brown. The more grey or brown present in a stone’s colour, the less vivid or intense it will be and the lover the value. A stone that is well saturated will be more valuable. This combined with great cutting is what is often referred to as “fire”. Finally tone. This is how dark or light the hue of colour is. Tone ranges from very light, to light, medium, dark and very dark. much as possible without blackness. The minute blackness starts to dominate, price goes down. Primary colours – red, blue, yellow. Tertiary colours – the colour in between a primary colour and a secondary colour - red orange, yellow orange, yellow green, blue green, blue violet, red violet. Tertiary colours best describe by the hue and modifying colour mentioned above. Complimentary (contrasting) colours sit opposite each other. They make each other pop when placed side by side.. An example here is red and green. Yellow and violet, Blue and orange. In art this can work wonderfully, but in jewellery, it can often be a little hit and miss. You don’t often see blue and orange in jewellery and when you do, it’s either amazing or awful. Split complimentary are the colours that sit either side of a complimentary colour. If red is the complimentary colour to green, but you don’t want to use that mix, you can choose the colour on either side of the complimentary colour. In this case, that’s purple or orange. Triadic colours. This is when you use colours that are equally positioned around the wheel, so no one colour dominates. For example Yellow (base metal) blue and red. Tetradic is when you mix 4 colours together and is not really relevant to this article. You can get more information on that online. Analogous is when you use neighbouring colours on the wheel. This creates harmony, not contrast in the piece. It gives a very natural look. If you can imagine small aquamarines surrounding an emerald, this is analogous. Finally the colour wheel can be split in 2 across the red/yellow line. The red Orange and yellow colours are warm, fiery, intense, passionate, happy, energetic. While the Purple, blue, greens are cooler, calmer, more peaceful and relaxing colours. If you want to understand more about matching colour tones to skin completion, read this article. Now you understand colour better, you need to find ways of communicating colour descriptions to your customer in a way that connects them to the colour of the gem. Using a colour description of a gem that reminds them of a place they have visited, or a prized possession, can build a connection stronger than you can imagine, as not only will the piece itself be special, it will have a strong secondary meaning too. So when describing red, is it scarlet, Ferrari or poppy red from the fields of poppies you drove through in California. If you’re talking about green, is it forest, sage, or the green of the waters on a tropical island they just visited. Is the yellow the sunflower fields of a Tuscan village, or the sunset yellow of a Mediterranean holiday. You just need to use your imagination. Here is a small list of colours and terms used to describe them. Sometimes, you can identify a colour, but not really have an idea of what gemstone to find it in. 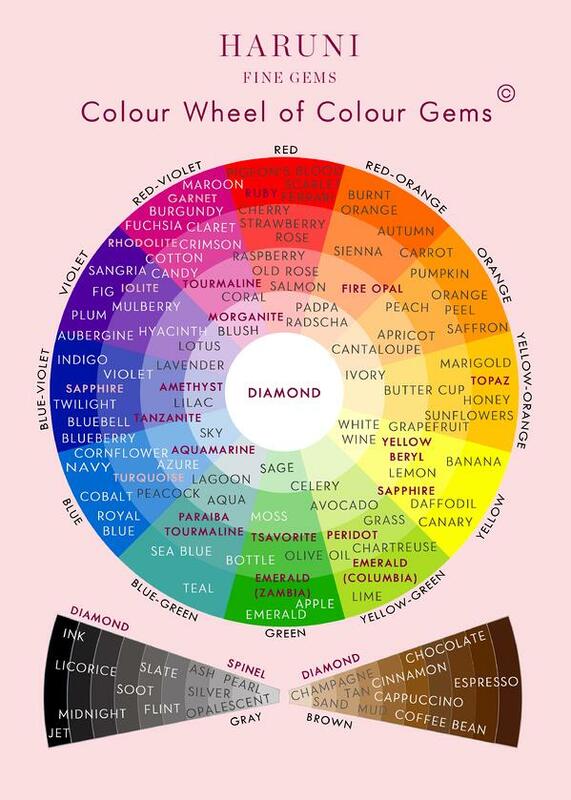 Here is a list of colours and the gems that come in those colours. How do you communicate colour to your gemstone suppliers? 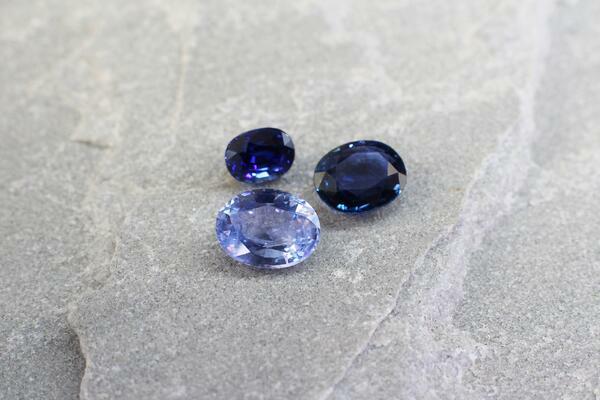 Once you have a sense on the gem colour you are looking for, you need to start sourcing it from your supplier network. If you don’t already work with a regular supplier, it can be very difficult to explain a colour to someone you don’t really know, or who doesn’t come from your side of the world, or who may not even speak the same language as you. For this reason something like a Colour Master Chart, of the type shown below, can help you go a very long way to describing a colour in a purely objective manner. If you are able to work with a Colour Master Chart, which you hold and you supplier holding an exact match of, you will be able to laterally speak the same language when it comes to describing colour. The chart below shows 5 main colours that are available in 7 different saturations, as well as 4 additional colours that are available too. It is not all the colours that gems come in, but it does relate to the most common used. Knowing how to design with colour gems and sell colour gems can transform your business. By understanding colour theory, using a colour wheel and having the correct terminology at hand can help your customers buy into your vision is essential and can give your customer the confidence to choose something different. By having a Colour Master Card, you can use to communicate that to your supplier to ensure you get what you’re looking for. Please leave a comment below on how you describe colour when selling gems.